May 12th in WordPress Themes, Wordpress Tips by Wordpress Jedi . 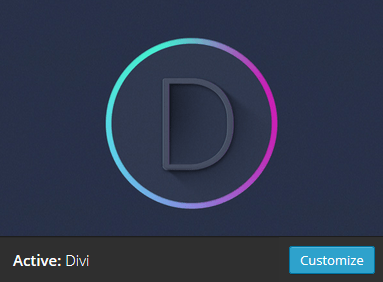 Loading Layouts: Divi has a page builder that allows you to create your own custom layouts. You don’t need to though. There are already a few custom layouts available for you to use. Once you have chosen a layout, you can change it by dragging and dropping modules and changing settings for each. Adding new sections/rows/columns: Divi is a highly versatile theme. It allows you to fully customize how your content is presented. You can add rows, new sections, and include additional columns in your layout. When you add a new column, you can choose how your content is presented. By clicking on Inset Module(s), you can further customize your site. Modules you should know: it is true that Divi has plenty of simple modules for you to choose from (e.g. text, slider, image, call to action). But you are not limited to those. Divi is WooCommerce friendly (Shop module). You can also add your Blog, Portfolio, pricing tables, and testimonials to your website. When you add a module, make sure to click on its settings icon to start customizing it. Setting up mega menu: Divi does have a mega menu system, and it is very easy to implement. Once you have your menu structure set up, go to Screen Options at the top of your page and enable CSS Classes property for your menu. Then, choose the parent item, and add “mega-menu” to its optional CSS Classes section. Save and load layouts: there is nothing wrong with reusing codes and designs that simply work. Divi makes it easy to create new layouts. You shouldn’t have to do the same job for every new site you create though. The good news is you can save your layouts and export them. Once you are satisfied with the changes you have made to your layout, use the Save Layout option and give it a name. You can Load new layouts fast. More importantly, you can go to Appearance > Export Page Builder Layouts to download your saved layouts. When you need to set up a new site with Divi, just go to Tools > Import > WordPress, download the appropriate plugin, and import your settings. Divi makes it easy to give your website a custom look. You just have to spend a bit of time to structure your layouts properly. The next version of Divi is expected to be even more powerful.